Classes start promptly at the scheduled time. Any student that is late will be required to do push-ups. Tang Soo Do is a form of Karate originating in Korea, and brought over to the United States by Chuck Norris who taught Joey Esocbar. It has been taught for over 300 years holding tight its traditions and moral values. Many top athletes in all major sports Also use this type of training as it helps them increase strength, speed, agility and reaction time. Appropriate undergarments must be worn under gi’s. Only Students are allowed on the mat. If the student’s class is not in session, then they are expected to be stretching or practicing karate ONLY. All students must ASK BEFORE using the boxing ring and front mat. 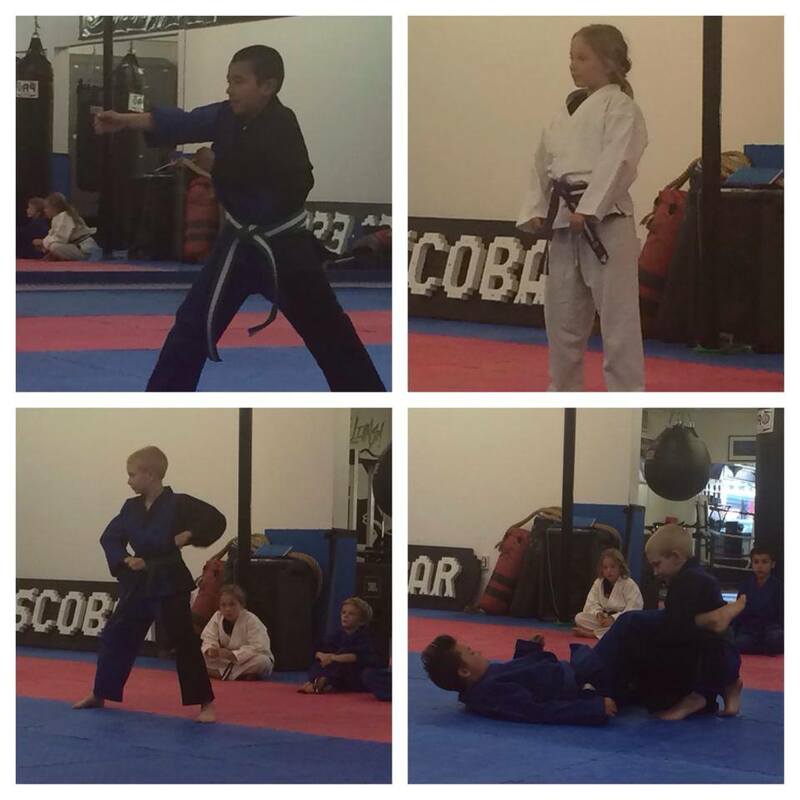 The Front mat is for blue belts and higher unless used during class. Parents can take a class at the same time as your little ones! No daycare needed! All instructors are very approachable and understanding. Feel free to talk with them about any questions or concerns you might have! Or fill out our questionnaire in the front room. Stripes in between belts apply to kids and advanced belts. This is the students time with the there teacher, parents are encouraged to not interject in class. Please use the viewing area. Please enjoy but keep your voices and distraction to a minimum.